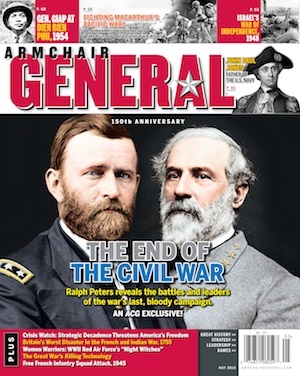 Churchill’s Leadership in World War I | Armchair General Magazine - We Put YOU in Command! Although he had hoped it could be averted, when war did come, Winston Churchill embraced it as his own, too much so in the opinion of many. There were two reasons for this: his natural tendency to take charge of any situation in which he found himself and, just as importantly, because Britain in 1914 lacked a true war leader. In military matters Prime Minister Herbert Asquith was, by his own admission, wholly unsuited to the role of wartime leader. In military matters he all but ceded control and decision-making to the two most strong-willed men in his government: Field Marshal Lord Kitchener, the Secretary of State for War, and Churchill, the First Lord of the Admiralty. Indeed, upon examination of Asquith’s almost daily letters to a young woman with whom he was infatuated, Venetia Stanley, the war seemed more like an abstract distraction than a grave national crisis. The British approach to World War I was self-destructive. With the exception of Churchill, the politicians tended to defer to the generals and the admirals on the grounds they were the experts and knew best, when, in fact, as the war progressed they too would prove incompetent. The ineffective and rudderless political leadership was a lesson Churchill would learn well and vow not to repeat during World War II. Early in the war, it was evident to Churchill that there was a void at the top that urgently needed filling. The void was great and while his motives were clearly patriotic, it did not hurt that successful initiatives would enhance his personal and political standing. Having observed first-hand how the Boer War was botched, Churchill had justifiable misgivings about the wisdom of leaving war strictly to the generals and admirals. Much like the Royal Navy, the British Army had retained in its ranks too many dinosaurs left over from the Victorian era who still occupied commands they were barely competent to hold. Churchill’s lack of faith would be amply justified over the next four troubled years as tens of thousands of lives were uselessly squandered in futile battles of attrition that mostly provided full employment for the graves registration units. As the war degenerated into a state of paralysis and static warfare, Britain’s war leaders deluded themselves into believing that each new year would bring victory when, instead, it brought only more misery and death. The result was a bloody and prolonged stalemate with neither side capable of breaking the deadlock in France. Nor was it merely naval operations with which Churchill involved himself in the war’s first months. His activities encompassed all three environments of warfare: land, sea and air. On a daily basis he was bursting with ideas on how to end the stalemate and win the war. One of them was his offer of British logistical support for a Russian attack on Germany from the Baltic whereby troops would land near Danzig drive on Berlin and quite likely end the war by capturing the German capital. British Admiral of the Fleet Lord John Fisher (right) and First Lord of the Admiralty Winston Churchill speak after a meeting of the Committee of Imperial Defense in London. Such enormous numbers in the first days of the war implied full conscription at a time when no one at the top level of the British government wanted to hear such a daunting prediction from a war hawk like Churchill. Ultimately, his estimate was but a drop in the manpower bucket. By the time the war ended in November 1918 the British would mobilize 6.2 million men and the Commonwealth War Graves Commission would later list a staggering 888,246 war dead for the United Kingdom and its Colonies. Leadership in a time of war is a very sharp, double-edged blade for which only the strong-willed need apply. Those who act decisively during a time of crisis, and succeed, attain heroic status. History, however, judges failure harshly and not always fairly. John F. Kennedy once said that, “Leadership and learning are indispensable to each other,” a lesson Churchill was to take from World War I. What separated him from others was not only his willingness – indeed, his zeal to lead – but that, having been stung by failure in one world war, he dared to grasp the reins of leadership in a second world conflict. Part II presents Churchill’s leadership in the first months of World War I.